Despite worries about rally participation, the micro-cap segment of the market is hitting all-time highs. Right on cue, the stock market has bounced back sharply from its test of the early-February initial correction lows. In spite of the strong rebound in prices, however, there has been a vocal (and familiar) chorus of skepticism regarding the “quality” of the rally. One source of protestation pertains to the level of “participation” in the rally. In other words, some market observers are making the argument that the recent rally is occurring on the backs of a relatively few numbers of stocks, e.g., FANG and the like. We’re not sure how valid that argument is. Exhibit A in the counter-argument can be seen in today’s Chart Of The Day. 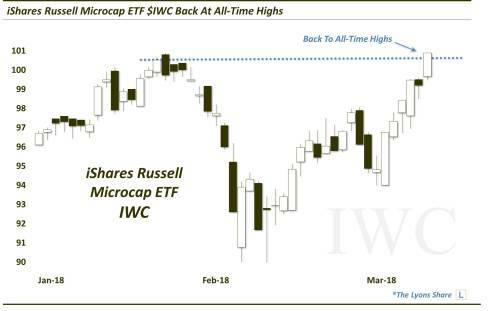 As shown here, it reveals that, despite the hand-wringing over “weak participation”, the micro-cap segment of the market (as represented by the iShares Micro-Cap ETF, IWC) has actually already rebounded off its correction lows back into all-time high territory. 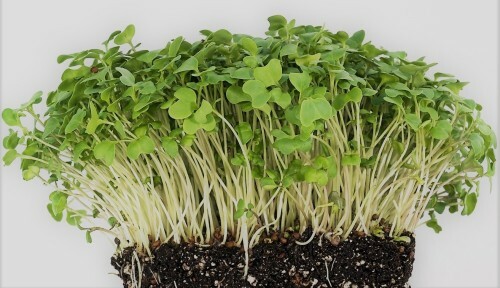 Now, just because the micro-caps are back at all-time highs and demonstrating a good deal of “green” on a daily basis, it doesn’t necessarily mean the rally is widespread. However, normally the concern over participation comes when large-cap stocks are contributing an undue weight to a rally while the smaller-caps, i.e., the broad market is lagging. Clearly that is not the case at the moment with micro-caps back at all-time highs and small and mid-caps also out-performing off of the correction lows. So, in our view, while there might be legitimate reasons for concern in the stock market at the moment, weak participation does not appear to be a valid one.